Many people put a lot of thought into creating a beautiful landscape, but overlook the importance hardscaping has on the overall project. Hardscapes help define outdoor rooms by creating a seamless transition into nature where you can host gatherings with family and fiends. When someone hears of hardscaping the first thought to come to mind might be patios but hardscaping is much more than that. 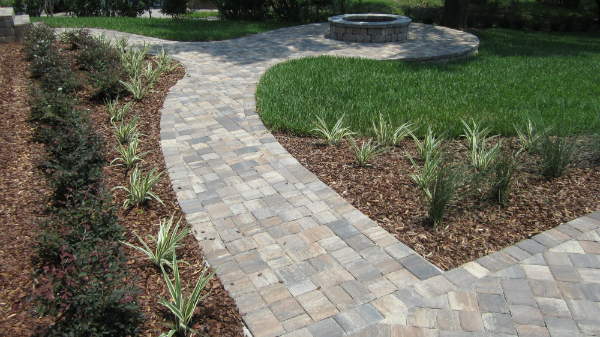 Hardscaping is all the nonliving components of your landscape such as, patios, waterfalls, water fountains, driveways, walkways, fire pits, retaining walls, curbing, outdoor kitchens and more. Adding well designed hardscaping to your landscape offers a number of benefits. Creating an outdoor room will give you an area to entertain guests and immerse yourself in your landscape rather than just admiring it from a window. Enhance your landscape by creating contrast, texture and diversity while providing perfect framework and focal points. Provide shade and privacy from the sun and nosy neighbors so that you can truly enjoy the outdoors. Add a sense of peace, tranquility and relaxation to any outdoor space. Reduced maintenance is another benefit of hardscape because it does not require watering, weeding or mowing. Creating these amazing spaces do require a high level of technique, craftsmanship and material knowledge. 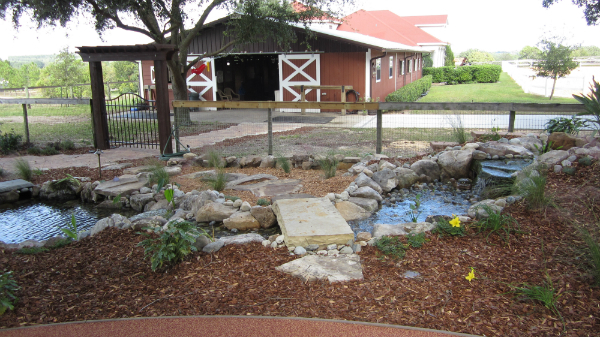 We at Smithwell have managed to turn this technical discipline into a veritable art form and that is why countless property owners all over Central Florida trust only us when it comes to their hardscape needs.